in the Sphere of Telecom, Information Technologies and Mass Communications. 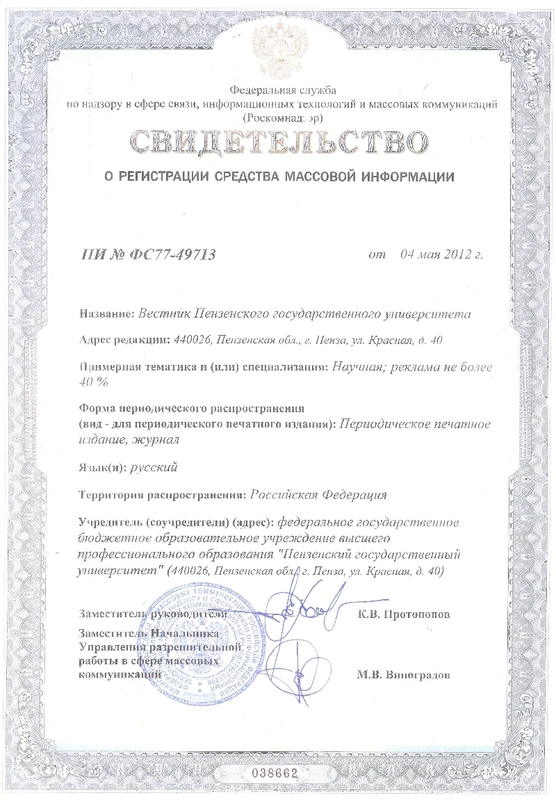 Registration certificate: ПИ № ФС77-49713 from 4.05.2012. ISSN 2410-2083 Periodicity: 4 issues per year Number of copies: 1000 copies. 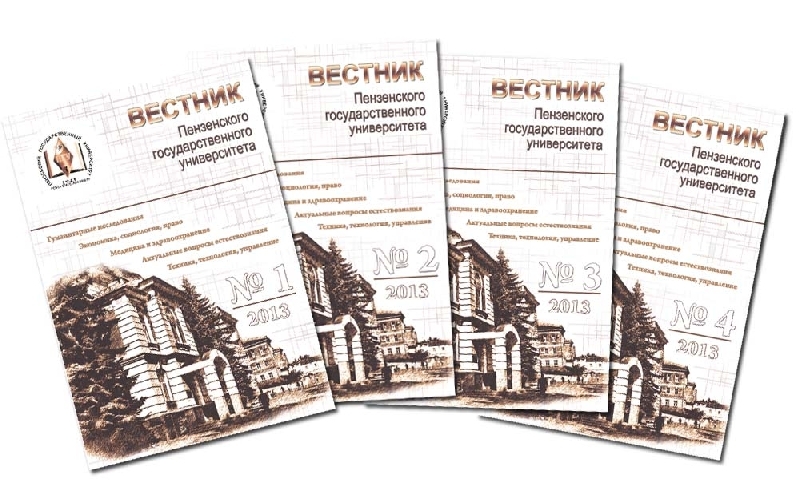 «Vestnik of Penza state university» is a scientific periodical that publishes the results of the latest fundamental and applied researches by the University's scientists in order to introduce the achievements of the PSU's research teams to the community. Articles are reviewed by the editorial board members being the University's leading scientists. Publication of articles in the "Vestnik of Penza state university" is carried out in accordance with the Creative Commons Attribution License, CC-BY 4.0.
of unlimited usage of works provided authorship indication. The journal “Vestnik of Penza state university” is allocated in eLIBRARY.RU; participates in the project “Russian scientific citation index”. The journal “Vestnik of Penza state university” is allocated in «КиберЛенинка» (CyberLeninka) electronic library. Scientific material presented in the library is posted in the Internet free of charge in open access. E-library users are able to read the scientific works from tablets, mobile phones and other modern mobile devices. The journal “Vestnik of Penza state university” is included in the ‘Lan’ publishing house e-library system. This resource contains both electronic texts of study and research literature of leading publishing houses, and electronic texts of periodicals in different branches of knowledge. The journal “Vestnik of Penza state university” is allocated on the platform of the IVIS Electronic Library System. LLC IVIS is one of the largest Russian distributors of printed periodicals, books, electronic databases of periodicals, and other information resources. The company is an official partner and exclusive distributor of the American company East View Information Services, Inc. in Russia and the CIS.